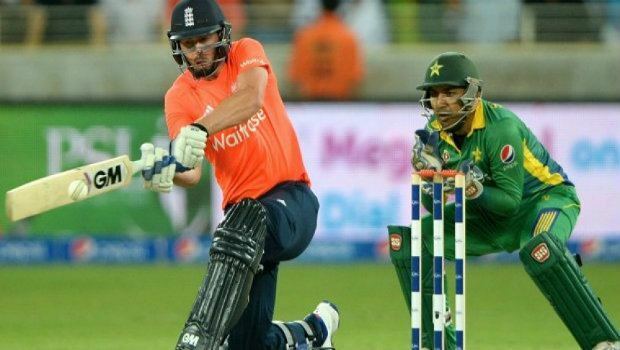 England's autumn tour against Pakistan in the United Arab Emirates continues this week, with the first of three Twenty20 fixtures taking place at the Dubai Cricket Stadium on Thursday. England will be going into the match in good spirits following their 3-1 win in the One-Day series. After Pakistan comfortably won the first match by six wickets, England dominated the rest of the series, winning the other three matches by 95 runs, six wickets and then 84 runs. Jos Buttler was the star of the show, scoring a century off only 46 balls in the final match – the fastest century by an England player in a One-Day International and the joint seventh fastest in the history of the game. The wicket-keeper also made 49 in the third One-Day International and is currently a tempting 7/1 with Ladbrokes Sports to be England's top bat scorer again on Thursday. Buttler's was not the only noteworthy performance during the One-Day series. England's top six batsmen all scored half centuries over the four matches, with opener Jason Roy also hitting a century in the final encounter. He is 7/2 with Coral Sports to be the top scoring batsman this time around. Joe Root is also in excellent form for his country and a potential match-winner; at 10/1 with Bet365 Sports, the surging all-rounder is a tempting choice for Man of the Match. Elsewhere, Hampshire batsman James Vince and Lancashire spinner Stephen Parry enter Trevor Bayliss's Twenty20 squad, replacing James Taylor and Jonny Bairstow in the One-Day team. Parry has not represented his country since March 2014, while Vince will be making his Twenty20 debut for England. Right-hander Vince is 5/1 with Bet365 Sports to be England's highest scoring batsman, while Parry is 9/2 to be England's star man with the ball. Pakistan's squad looks very different to the side that played the One-Day series. Six new faces are on their way in, including Twenty20 captain and veteran all-rounder Shahid Afridi, who is 15/4 with Bet365 Sports to be the country's best bowler. Batsman Umar Akmal has also ended up in the squad, having initially been suspended for allegedly attending a party without permission. At time of writing he is 7/1 with Coral Sports to be their highest scoring batsman. This is England's first Twenty20 match since beating Australia after their glorious Ashes triumph in the summer. The team's only other Twenty20 fixture this calendar year was against New Zealand in June, which they also won. Pakistan, meanwhile, have won their last six Twenty20 matches, the last of which was a narrow win over Zimbabwe two months ago. This will be the first time that these two sides have met in the short format since the same tour in January and February of 2012. England were 2-1 winners in the Twenty20 series on that occasion, and they are 7/4 with Bet365 Sports to win by the same scoreline again this year. Both teams will be looking to continue their strong form ahead of the 2016 ICC World Twenty20 in India. England are in good shape with the bat and will fancy their chances after their victory in the one-day series, while Pakistan always possess a strong bowling attack and will certainly benefit from having more experience within their team. England are slightly favoured by the bookies, being priced at 4/5 to come out on top. Their opponents, meanwhile, are sitting at 10/1 with Coral Sports to win the next encounter. For the latest odds on this upcoming match from one of these top bookies visit Ladbrokes Sports, Coral Sports, or Bet365 Sports and place your bets today.